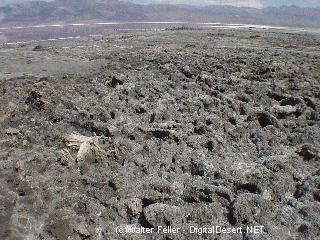 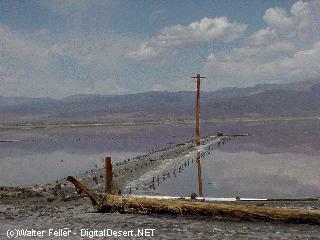 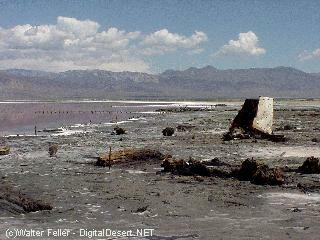 During World War I, nearly pure salt was extracted from the salt lake in the Saline Valley. 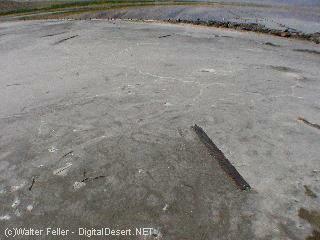 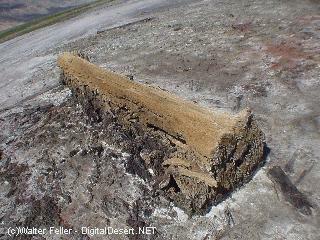 Test shafts indicated a layer of salt as least 30 feet thick beneath the lake. 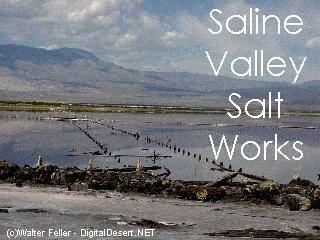 To deliver the salt to a convenient point for shipping it was loaded on a specially constructed salt tram.